Many English holidaymakers head for the south coast for their summer holidays, for the beaches, South Downs and seaside towns that await with open arms. Most of us are children at heart and feel cheered by the sight of the sea, ice cream sellers and promenades of holidaymakers. Our holiday accommodation plays a major part in the potential success of our summer holiday and cottages with their own swimming pools stand proud at the top of the desirable holiday accommodation list. The sea, however blue in may appear is never warm enough or sufficiently safe for swimming. Most of us would prefer the heated waters of an indoor swimming pool. The best swimming pools for safe family swimming are those that are the same depth from end to end because there are no unexpected surprises for children who might jump in on a whim. Saying that, we are all aware that children must always be personally supervised when in a swimming pool attached to self-catering accommodation and toddlers are sometimes the most worrying because they have no fear of water. 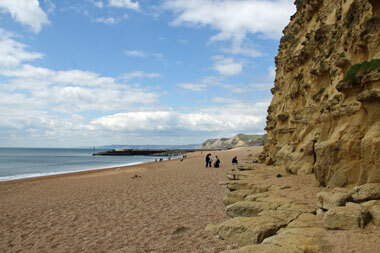 Another attraction of the south coast of England for summer holidays is the greater chance of fine weather. The south tends to be much warmer than the north of England and holiday facilities have been developed over centuries of demand. The coastline from the clean white sands of Sennan Bay in Cornwall, through Cornwall, Devon, Dorset, Hampshire, Sussex and Kent has hundreds of inviting holiday hot spots. Where to find that cottage with a swimming pool much depends on the type of holiday you would appreciate most in the south of England. Where is the best destination on the South coast for accommodation with a pool? There are family-friendly beaches galore such as Sidmouth in Devon which offers miles of sands, rockpools that children love to forage in, cliff walks and an abundance of amenities. Some of the beaches and coves in Cornwall’s Lizard Peninsula are naturally beautiful but more difficult to get to – hence tranquil sands with fewer people and less commercialism. The stretch of Devon coastline between Brixham and Torquay is built-up and lively. The big brash seaside resorts of Bournemouth, Brighton and Eastbourne offer bustling seaside experiences and crowded beaches which suit holidaymakers seeking sun and nightlife. There are holiday apartments with a communal swimming pool in these large towns and cities. The smaller individual holiday cottages with their own pools tend to a little further inland and necessitate a drive to the coast and a hunt for a parking space. It’s all swings and roundabouts when choosing that ideal cottage with a pool because there are obvious advantages of staying in the country within driving distance of the coast weighed against the convenience of staying on the coast. The holiday accommodation within walking distance of the sea is inevitably more expensive and a swimming pool adds to the potential rental cost but what price a blissful summer holiday?